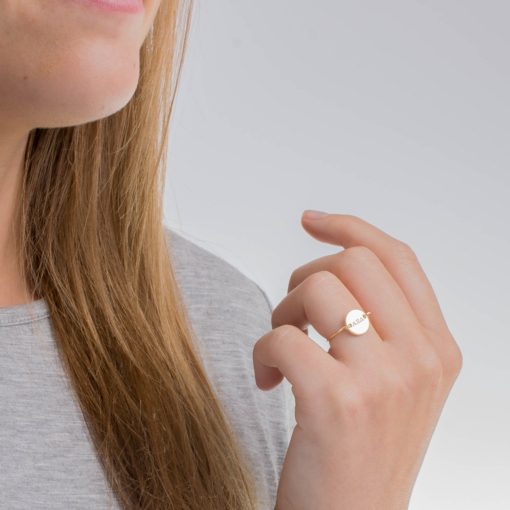 This dainty Alpha Xi Delta ring is a simple and modern way to bring a traditional sorority keepsake into your jewelry collection. 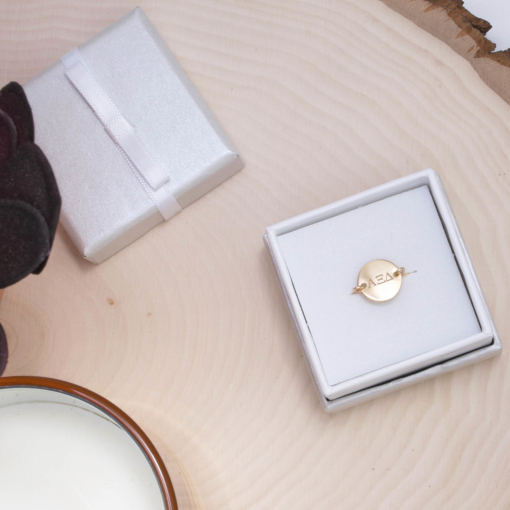 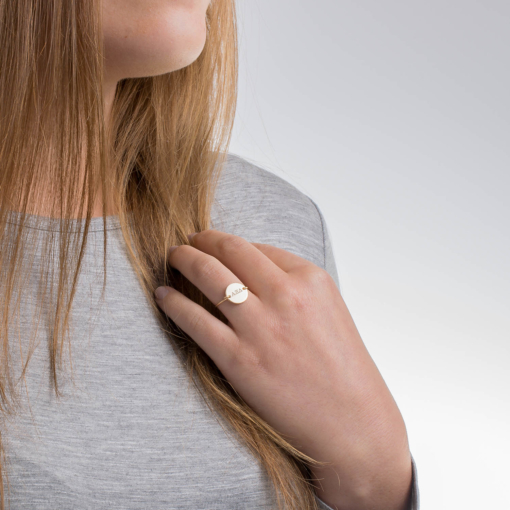 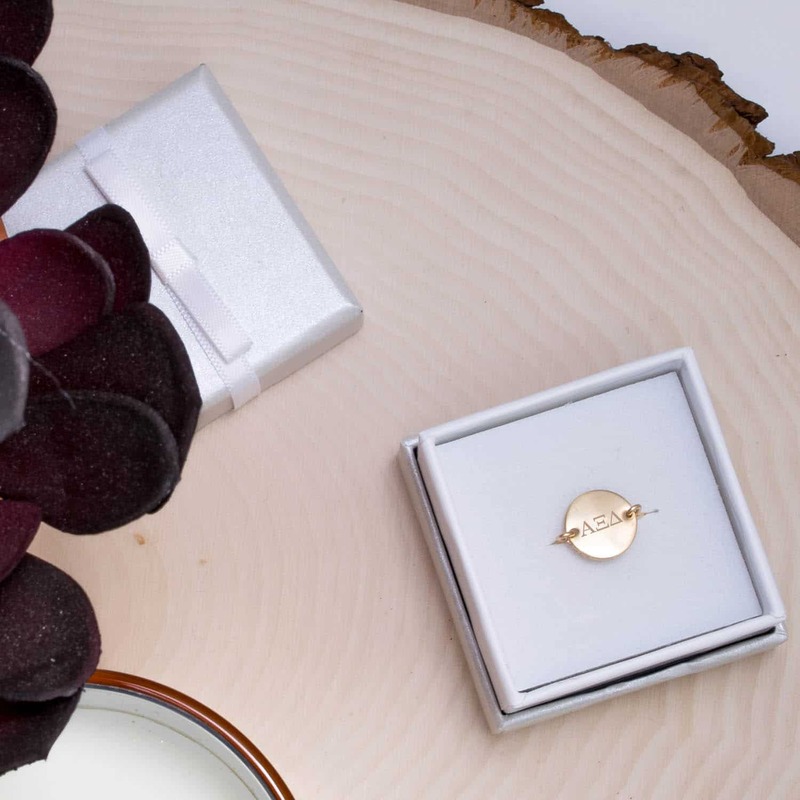 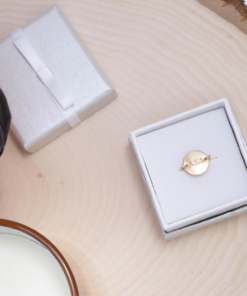 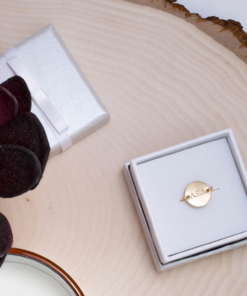 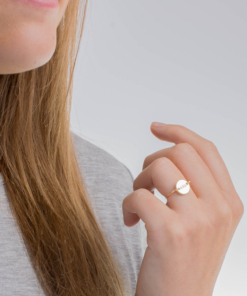 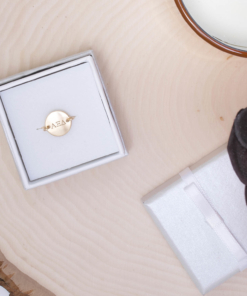 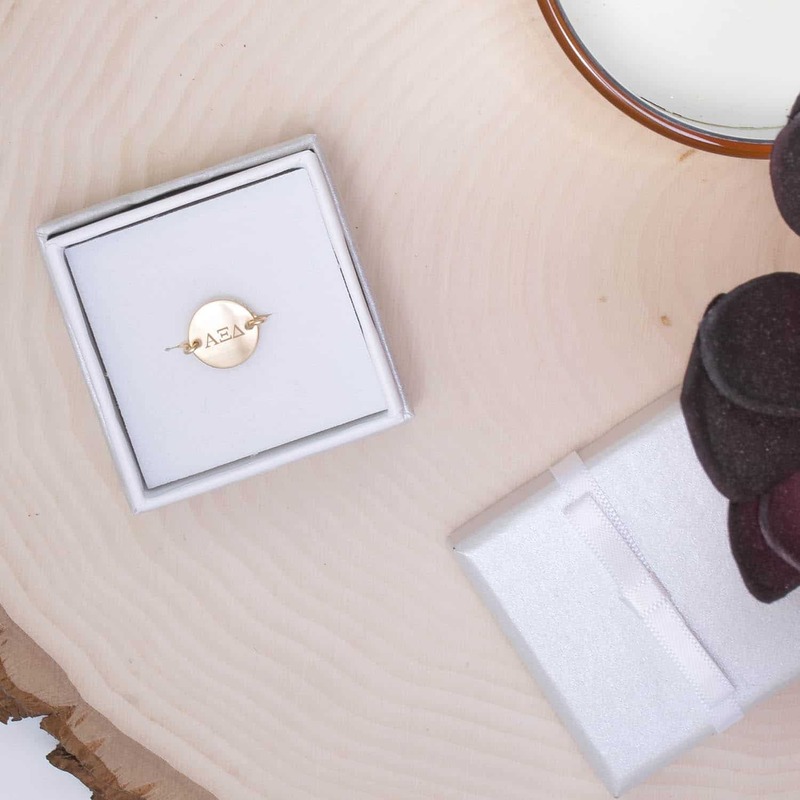 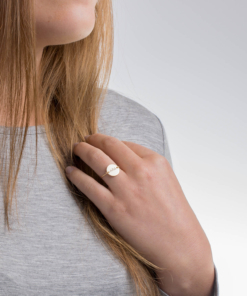 The sterling silver, 14k gold filled or rose gold filled ring features your Greek letters on a petite (9mm) or small (11mm) round disc and hand wrapped with a smooth wire ring band. 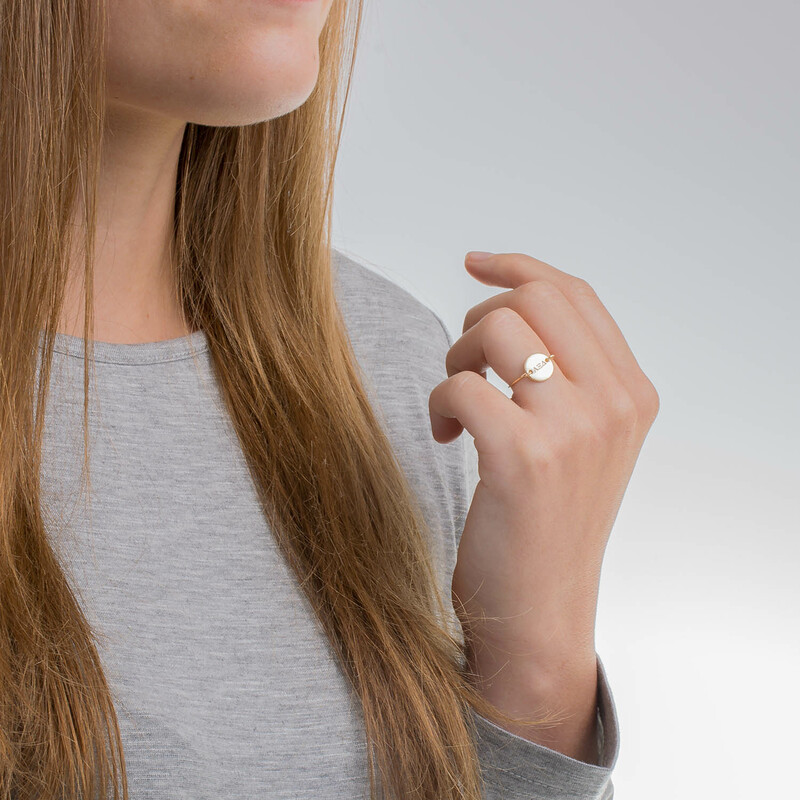 Choose from ring sizes 6, 7, or 8 (email us to request other sizes).